Welcome to the world of produce preservation. In Can It & Ferment It, blogger and preservation enthusiast Stephanie Thurow brings the canning and fermenting communities together by offering recipes that work for both canning and fermenting. 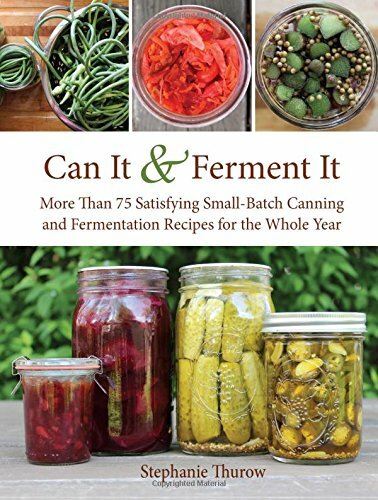 From a first-timer to the advanced preservationist, Can It & Ferment It shows canners and fermenters alike how they can have the best of both worlds. Stephanie explains the differences between the canning and fermentation processes, emphasizes the importance of using local and organic produce, describes canning and fermenting terminology and the supplies needed for both methods, and offers more than seventy-five fun and easy recipes for every season. 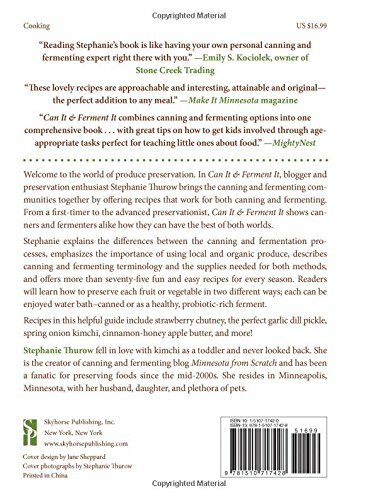 Readers will learn how to preserve each fruit or vegetable in two different ways; each can be enjoyed water bath–canned or as a healthy, probiotic-rich ferment.